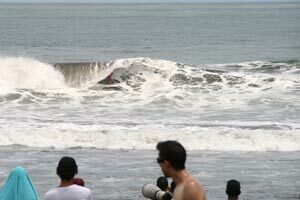 The waves break close to the shore over a sandy bottom. 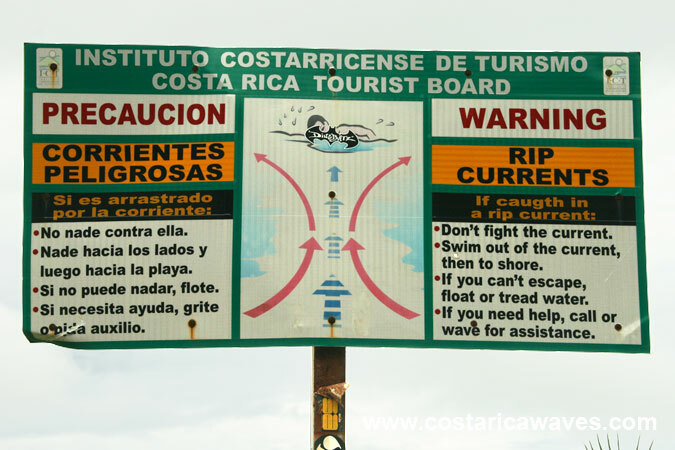 Tubes to the left and the right are common. The sand banks create the best waves during mid upcoming tide. 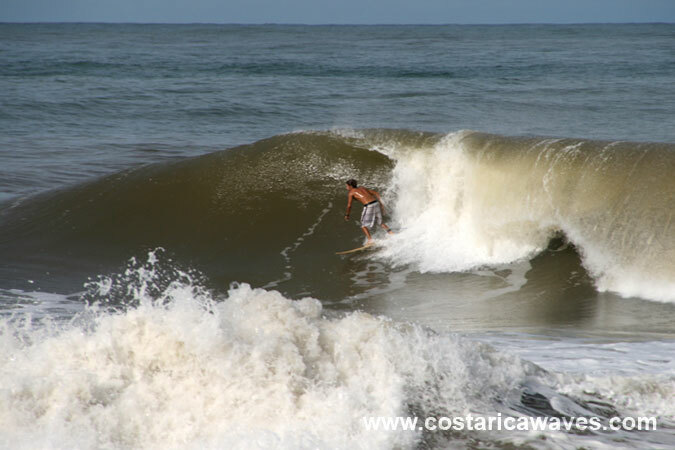 Backyards needs swell from the Northwest or Southwest. Coming from the North leave the paved road immediately after the village Playa Hermosa. 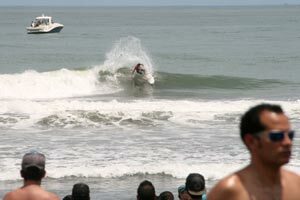 There is space for some cars to park. 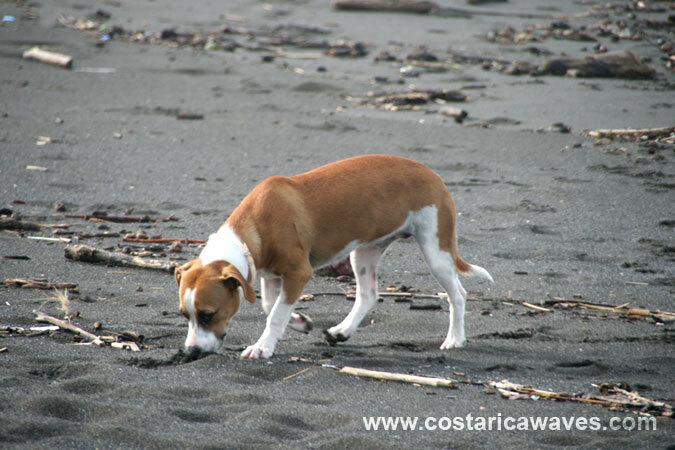 Don'r leave anything in the car here! 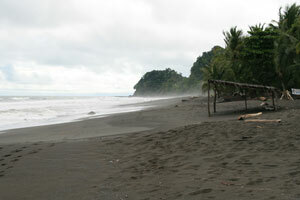 SThe dark beach at Backyards, Playa Hermosa, in the rainy season. 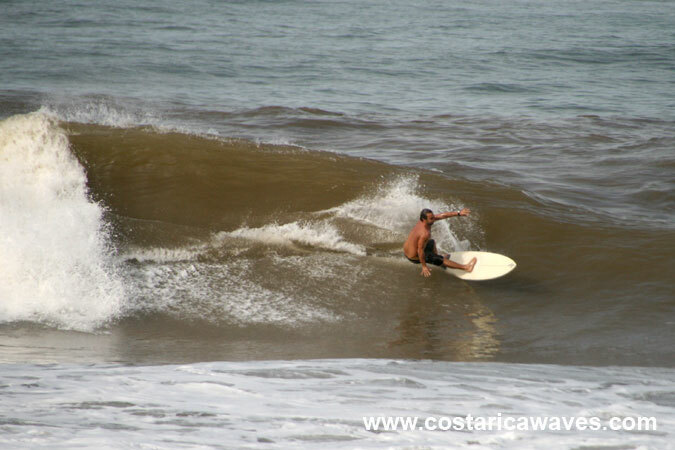 Surfing at Backyards, Costa Rica. 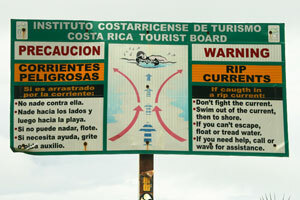 This beach is not recommended for swimming due to huge waves and strong currents. 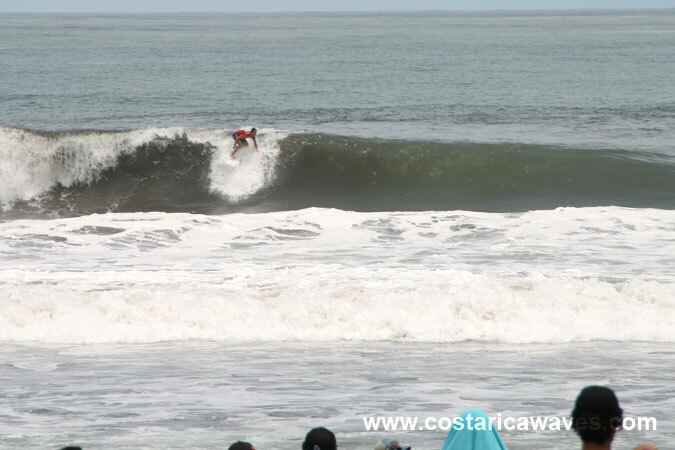 Surfing a left at Backyards. 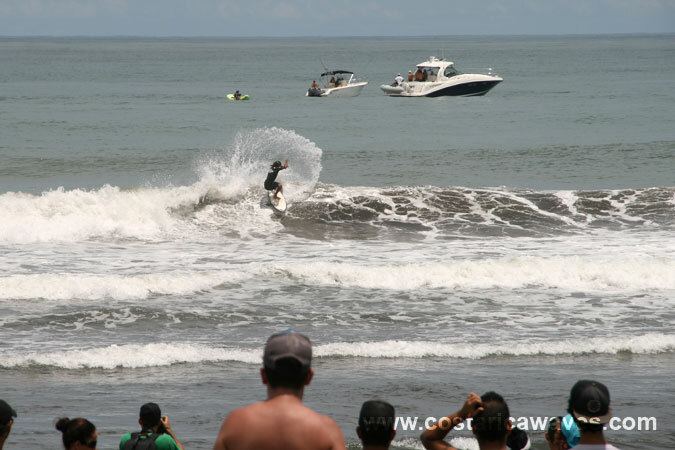 Backyards is a well known surf spot in Costa Rica. 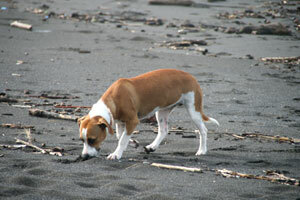 A surf dog exploring the beach. 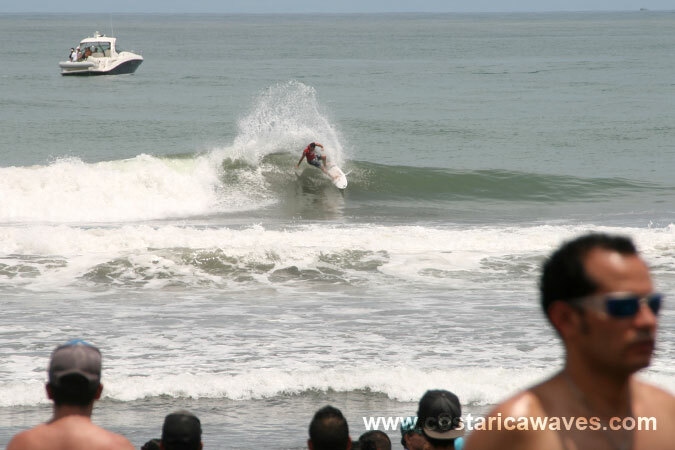 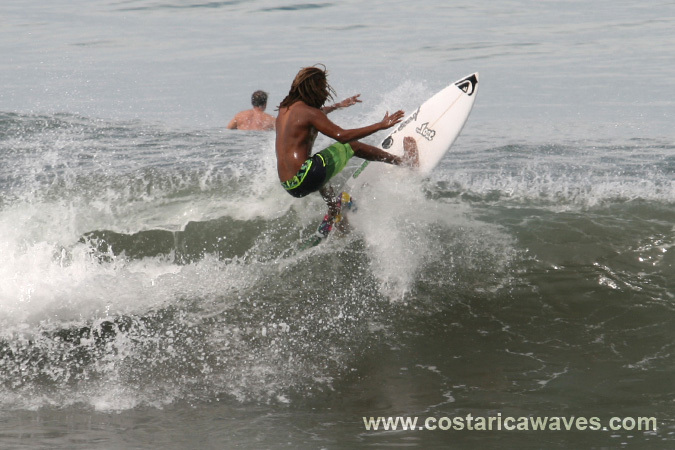 The Grand Final Reef National Surf Championship 2013 took place at Backyards, Playa Hermosa. 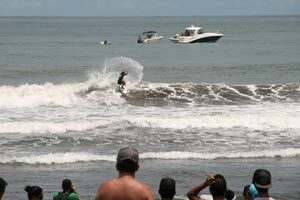 Good waves, close to San Jose and hometown of many good surfers are reasons why Playa Hermosa is a popular location for surfing contests. 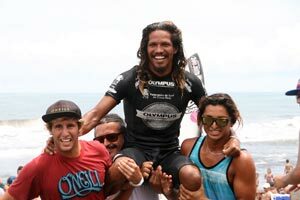 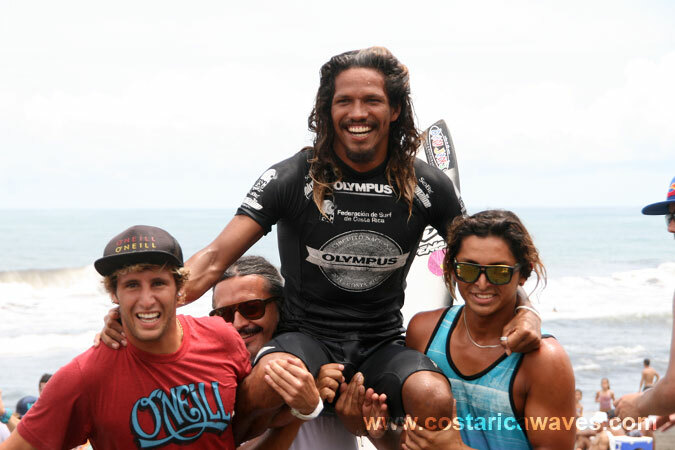 Olman Morales, from Santa Teresa, winner of the Grand Final Reef National Surf Championship 2013. 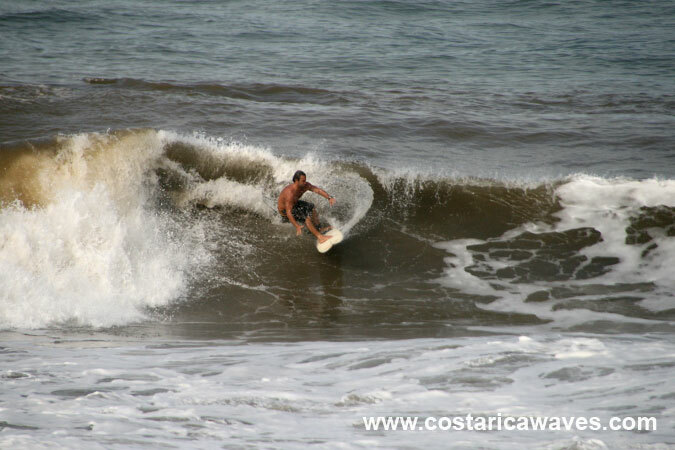 Costa Rican surfer Gilberth Brown enjoying the waves at Backyards.